Mike died following deterioration in his condition after a cancer operation in 1999. He was born and spent his childhood in the Hastings area of Sussex. Selected for the Apprentices School Chepstow in October 1943 he trained as a Carpenter and Joiner. Acknowledged the top tradesman of his year he is remembered as being extremely skilful from the outset, though smilingly modest and helpful towards others in sharing his know how. 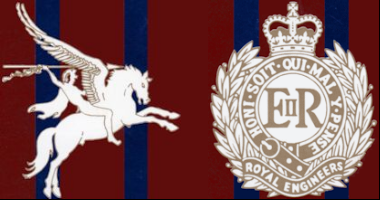 Chepstow was followed by Basic Military Training at Worcester and then onto Malvern 1 TBRE to become a full-blown sapper by early 1947. Chatham followed with more trade training, where with other ex-boys he took the significant step of volunteering for Airborne Forces instead of taking a Deputy Clerk of Works Course. After qualifying he joined 3 Airborne Squadron at Bulford for the move to Germany in January 1948. 3 Squadron became 9 Squadron at Hameln and, most significantly, here Mike met Ursula who was to become his wife in 1950 when they met up again in England after the Brigade's return from BAOR. In May 1951 Mike, by now a respected Section Corporal in 1 Troop, joined the Brigade "cruise", to Cyprus. This proved interesting when 1 Troop was tasked to prepare a new camp for the Squadron at Aghirda on the lower slopes of the Kyrenia Mountains. Several miles of over-ground water service pipe was required laid from the Turkish village spring. Mike undertook the pump house construction at source, while two other sections laid pipe and installed the holding tank at the campsite. Mike left the Squadron unexpectedly around the time it moved to the Canal Zone. He was recalled to Aldershot to join 4TRRE. Initial unhappy days took a better turn when a Capt. ITC Wilson spotted his discontent and had him sent to Hythe for a Weapons Course. Completion saw him gain rank as a Weapons Instructor with the Regiment. He had always shown great aptitude as a "shot". Now he was a regular for the Regiment and Corps, and also performed at Bisley. In 1954/55 Mike qualified as a Clerk of Works Construction and subsequently enjoyed "works" postings in Singapore, Germany, Aden and again Germany, where he ended his service in 1968 in the rank of W011. In the next 25 years he followed a building career in the Medway area as the Site Agent for a local builder who had great respect for his abilities and effort. Mike and Ursula were inseparable and ever supportive of Association Functions. Both remembered with pride and pleasure his time in the Services. His greatest pride was reserved for his time as an Airborne Sapper. He is sorely missed. He leaves Ursula and their children Stuart and Patricia with their families. Copyright 2003. 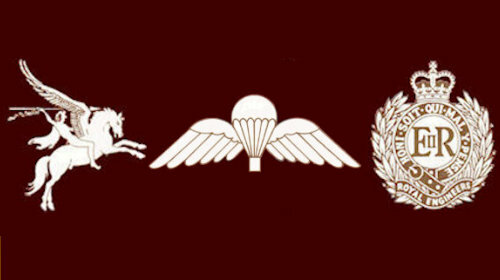 Airborne Engineers Association. All Rights Reserved.